My mind has been blown. 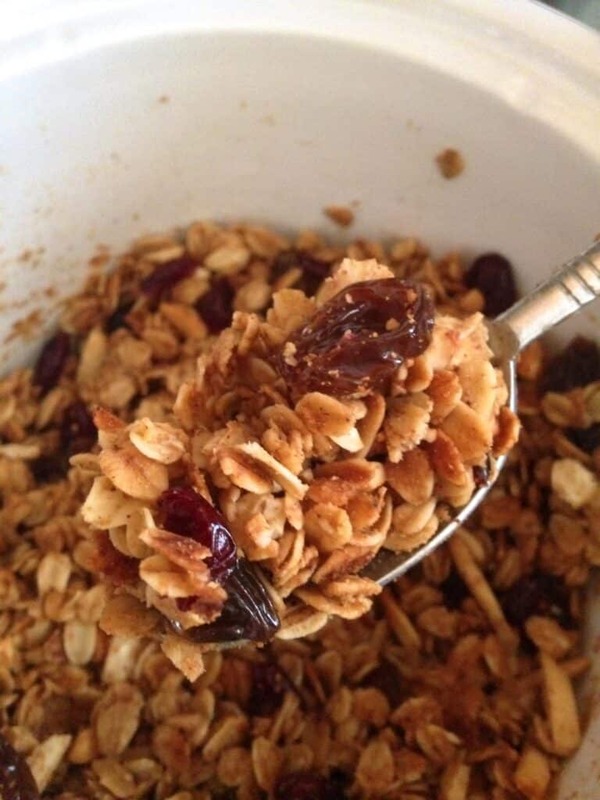 Homemade granola made in the slow cooker is so easy, I made two different batches yesterday! This is something special. Warm and soft when it first finishes cooking, or crunchy after it cools, either way, it is unforgettable. Slightly sweet, a little bit salty, the best part about making your own granola is that it’s infinitely adjustable. Use the ingredients and flavors that you love best. When I ran across this method for making granola in the crock-pot, I think my jaw actually dropped. I had no idea that it was even possible to make granola in a slow cooker and to be honest, I was a bit skeptical that it would work. I’m grinning as I type this because it did work and it was perfect. We snacked on this granola all day yesterday. I made a second batch last night, just because it was so easy! I haven’t stopped grinning over this yet. After burning countless batches of granola in the oven over the past few years, I love that I don’t have to pay close attention with this method! This is the easiest granola I have ever made. 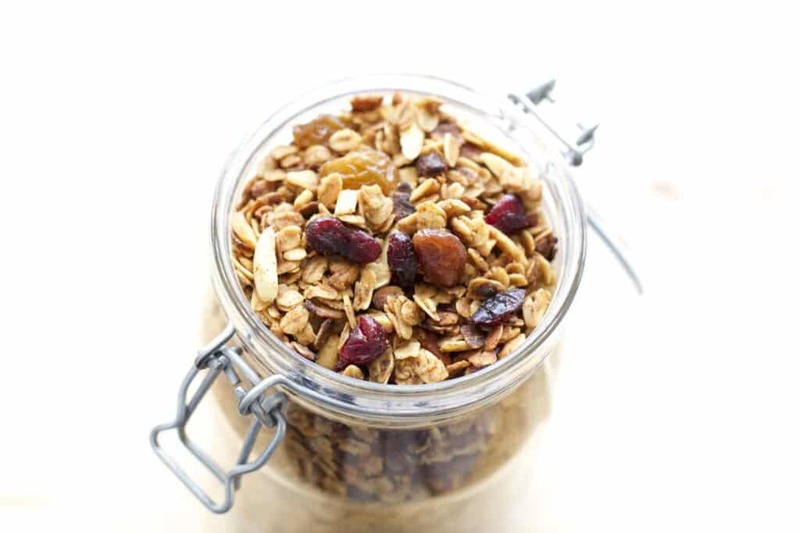 Kitchen Tip: I use this slow cooker to make this granola. The BEST homemade granola isn't made in the oven, it's made in the Crock-Pot. 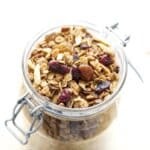 Once you try it, you may never use the oven for granola again.Recipe gently adapted from and with thanks to Dine and Dish. Pour the liquids over the oats in the crockpot and stir well to thoroughly coat. Place the lid on the crockpot, leaving it slightly vented. Cook on HIGH for about 2 hours, stirring every 30 minutes. Stir in the dried fruit right at the end. Spread the granola across a large baking sheet and let it cool before transferring to an airtight container. Enjoy! I've used both coconut oil and butter to make this granola. A refined coconut oil won't add any coconut flavor at all. Both work well and taste great. What can be a substitute for the peanut butter? My girls work at a peanut free camp. I haven't tried it myself, but I've been told that this granola works great with sunflower butter or alternative nut butters. I hope that helps! How can I adjust the recipe, leaving out the peanut butter? I'm not fond of peanut butter flavor in things. I have pecans that I can add. The peanut butter is part of the liquids / moisture in this recipe. You'll need to replace it either with an alternate nut butter or add an additional 1/4 cup of oil and 1/4 cup of honey. Made this last night. It was very good, thanks for sharing! How long do you estimate that I can store this?I love to meal prep ahead so I would make a couple batches at once. Thanks! I usually make it and store it in the pantry for a week or two. It's probably good for longer than that, but it rarely lasts longer than a week in our house. I would definitely like to try this but would like to know the nutritional information first.